Book Adventures: (MG) Garden of the Lost Souls Blog Tour & GIVEAWAY! (MG) Garden of the Lost Souls Blog Tour & GIVEAWAY! Welcome to my stop on the Flin's Destiny book 2, the Garden of the Lost Souls, blog tour! At the end of this post, please fill in the Raflecopter form for a chance to win an eCopy of the book. To visit the tour calendar, please click on the banner above. I participated in the blog tour for the first Flin's Destiny book, Cobble Cavern, back in March and shared the original covers and excerpts from the first three books in the series (check out that post to see them). Author (Jon) Erik Olsen had a very vivid dream, wrote the story down, and self published the first three Flin books a few years ago. They were a big hit and local (Springville, UT) publisher Cedar Fort is now publishing them! And I just love the new covers by Mark McKenna! Erik's writing is chock full o' colloquialisms that fill Garden of the Lost Souls with character and charm. 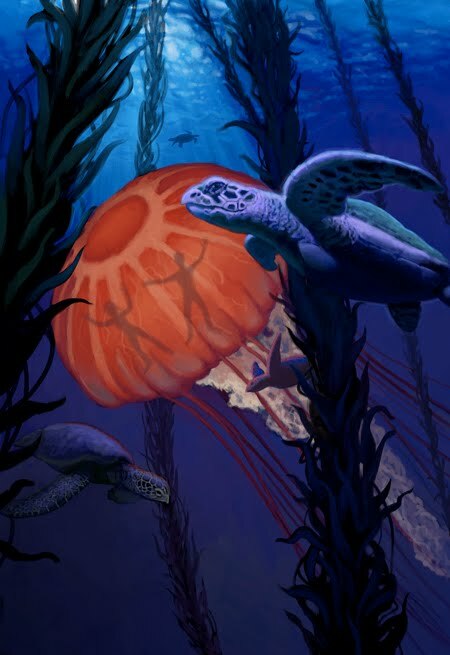 There are also leprechauns, grabby sand walls, Grimgoblins, Snazzards, and a clever way to make popsicles, all in mysterious caverns under the ocean. Erik has written an adventurous, magical story great for middle grade readers. 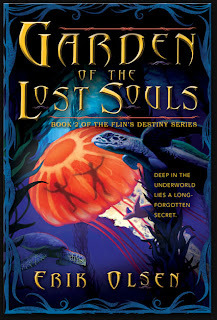 Garden of Lost Souls comes out July 10th and the third book, The Earth Time Continuum, is due January 2013. Two more books will follow making Flin's Destiny a five books series total. Flin climbed to the top of the Cathedral and was now pinned against the anemone’s ceiling while dozens of enraged Snazzards scaled up after him. I can’t climb any higher he thought, desperately looking around for any last options. There’s no place left to go! They’re going to get me! Panicked, he jumped and fell hundreds of feet through the air as the ground raced toward him. Release date: July 10, 2012. Pre-order now! To win an eCopy of the book, please enter via the form below.